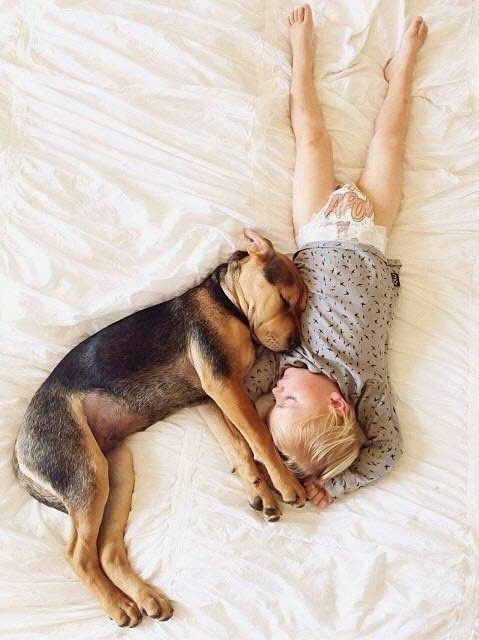 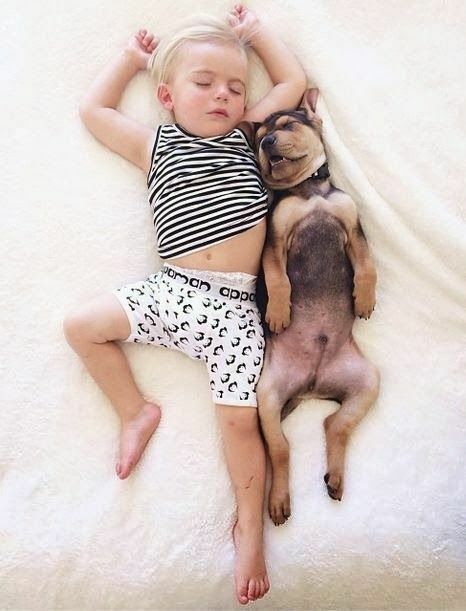 Jessica Shyba is a photographer, blogger, and mother of three who skyrocketed to fame when she posted pictures of her son Beau and puppy Theo having an afternoon nap together. 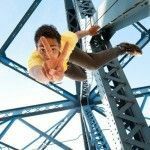 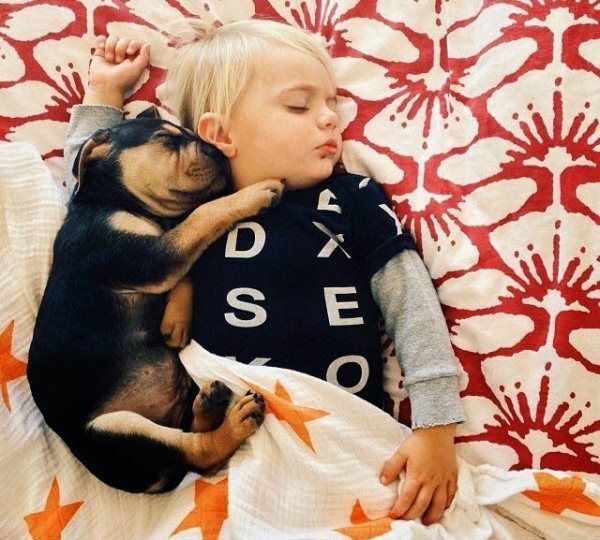 Puppies and babies are cute by themselves, but combine the two and you’ve got cuteness bursting out of the seams – a time and tested formula for internet fame. 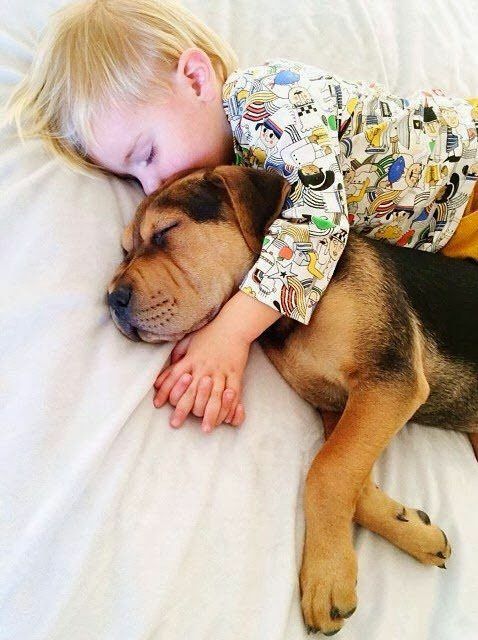 Theo is Jessica’s Shar-pei and German mix who she rescued from the local pound. 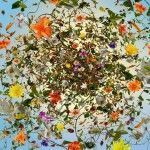 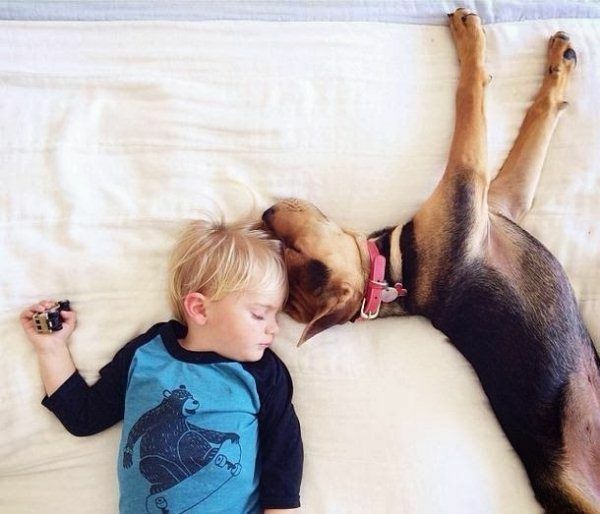 “It was the cutest, most natural thing” – is how she described it when Theo climbed up on top of her two-year old son Beau during his afternoon nap. 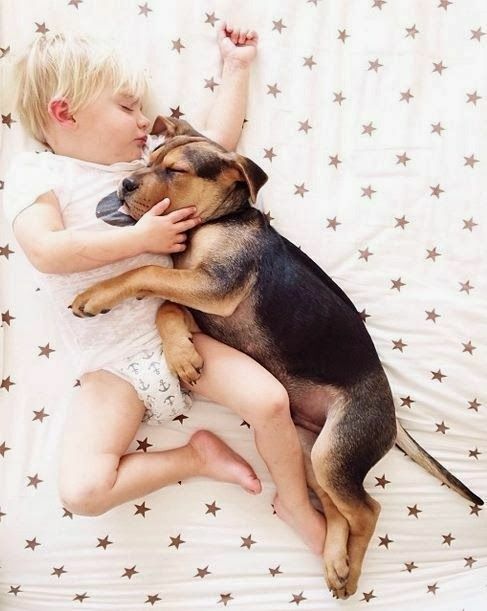 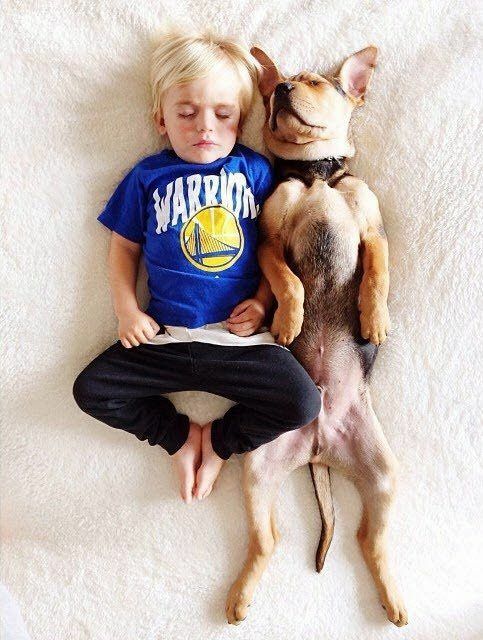 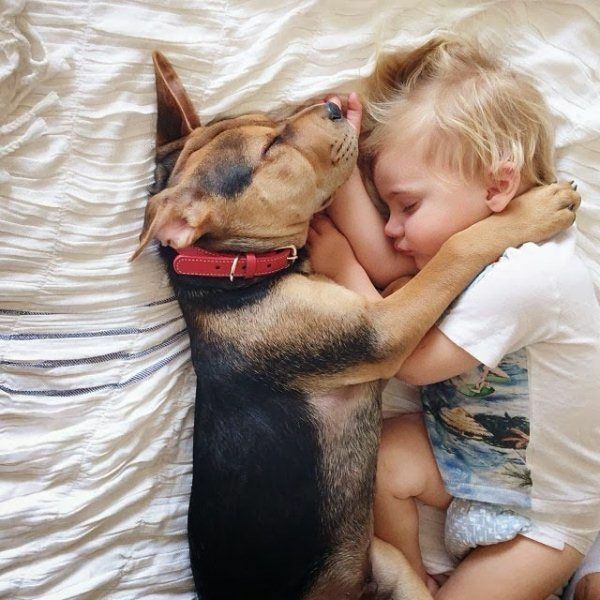 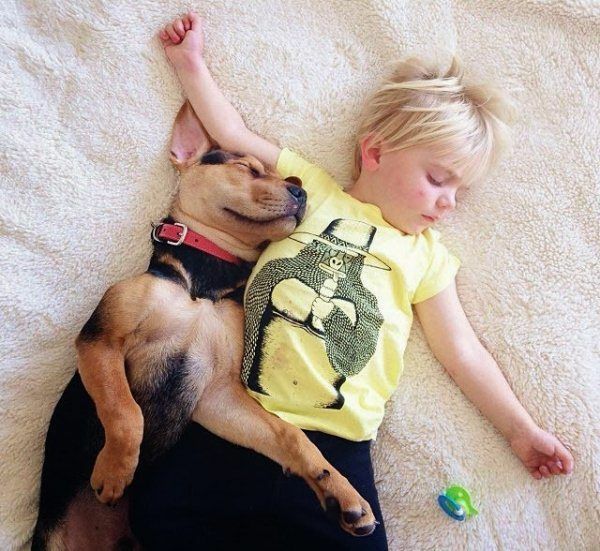 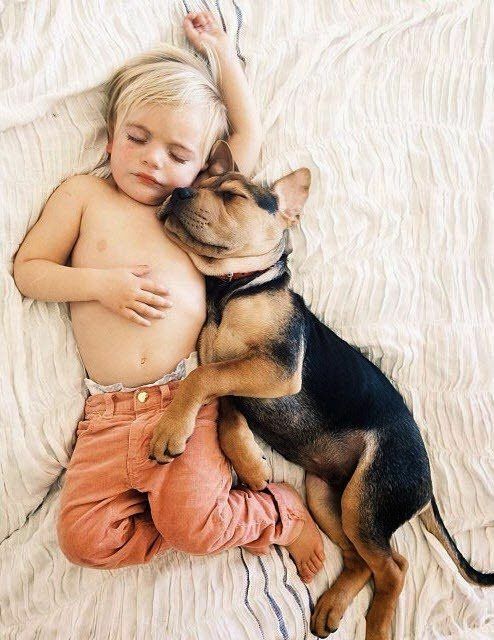 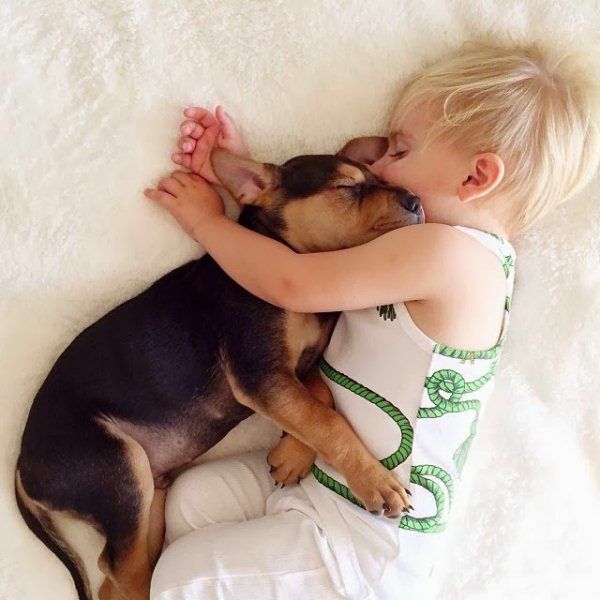 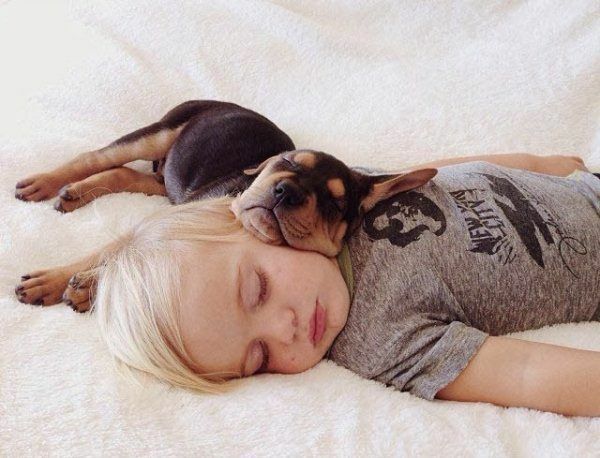 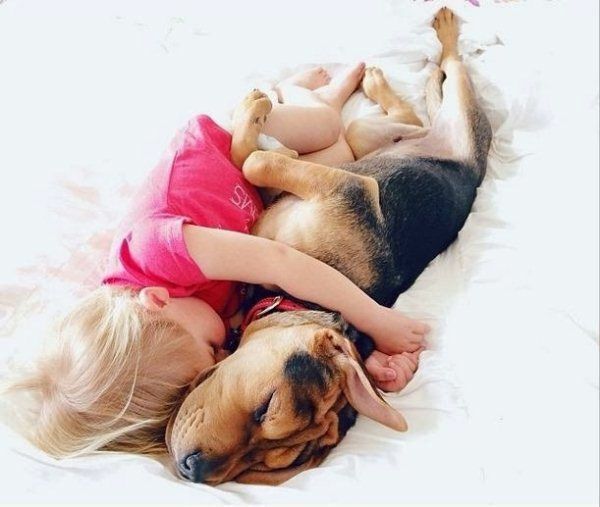 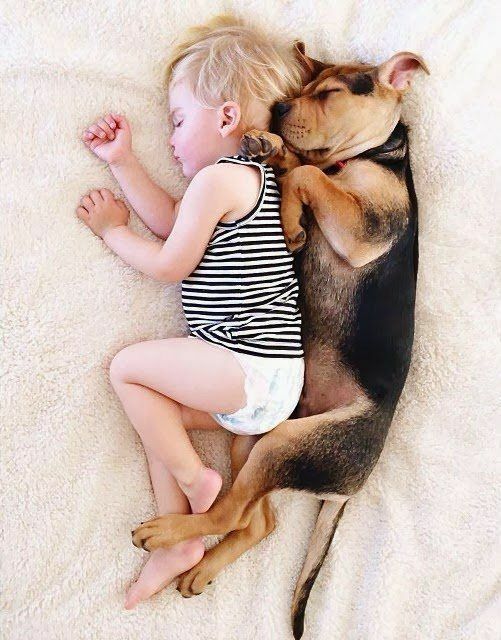 Their afternoon nap has become an adorable habit which elicits ‘awwws’ all over the world. 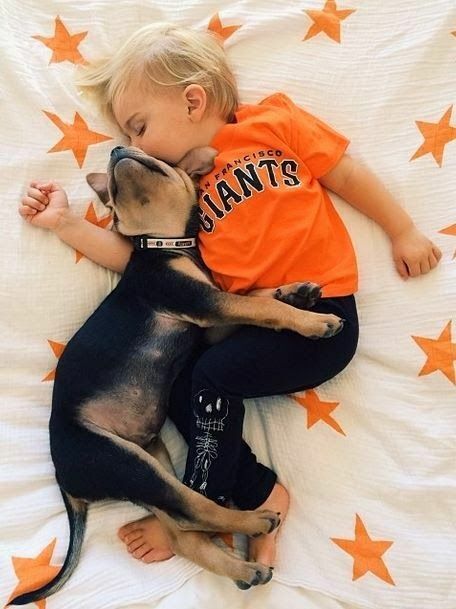 Check out more of her adorable shots on Instagram. 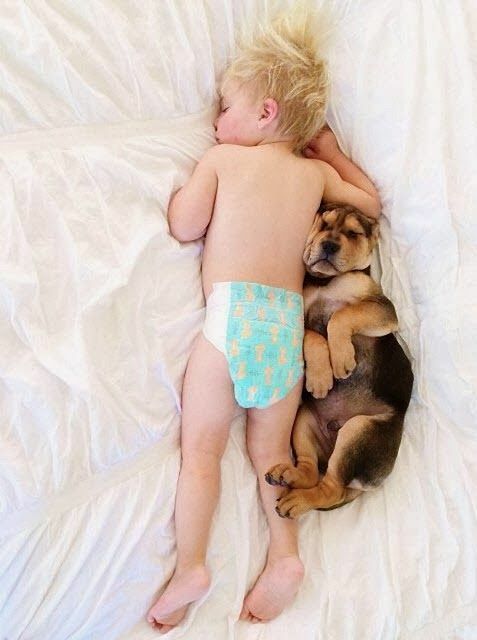 I have similar, very similar, photos of an Airedale & his boy(s). 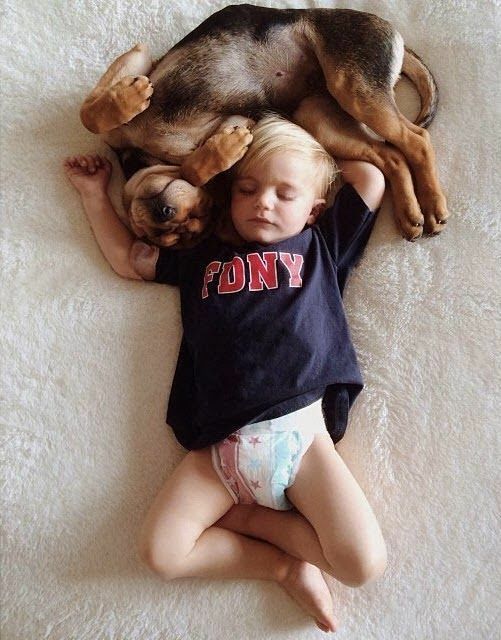 Now boys are teenage, dog is old but it’s still too cute to see them playing video games using dog as their pillow, or to see boy/dog on their backs in deep sleep, or their little two year old sister w/her arms around ‘her dog’ and his ‘arms ‘ across her. 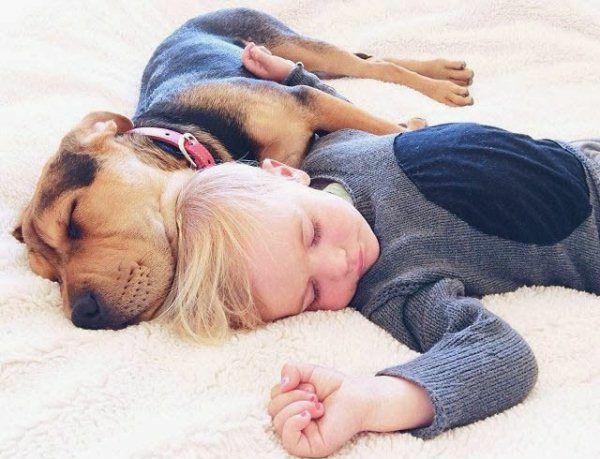 Dogs should be immortal.